"Our clams don't give a grit!" Grit-free Steamers from the flats of Maine! 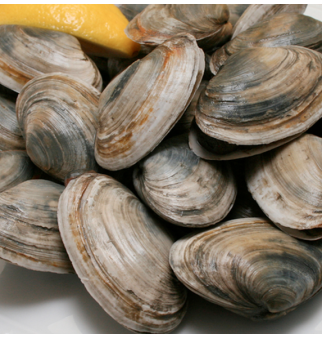 These premium soft-shell clams are harvested by skilled diggers and then purged in pristine sea water for a pleasantly clean (and tasty!) eating experience. Sold by the pound.